For trying to poison Snow White, the wicked Queen is forced to dance in red hot slippers until she falls dead on the floor. Cinderella’s evil stepsisters have their eyes pecked out by doves. Hansel and Gretel kill their captor by baking her in an oven. 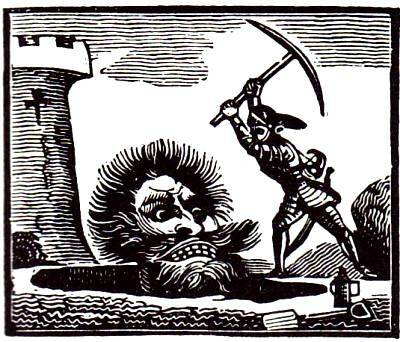 Jack (originally Jack the Giant Killer), kills the giant in a murderous rage to cover up the fact that he stole a bag of gold coins, a hen that laid gold eggs and a magical harp. This is bloody violent stuff, one might say. But as you will see, it does serve a practical purpose in the healthy development process of kids. And, if this kind of fantasy violence has always been a part of fairy tales, then why are parents so up in arms about videogame violence? Videogame violence is a huge issue with parents. And, videogame violence is specifically considered “participatory violence” because the gamer is seen as directing or participating in violent actions, albeit, in-game, and albeit still fantasy violence. Adding to this misinformation, parents typically rely on the ESRB rating system. Unfortunately, it is a vague, inaccurate and inconsistent rating system that provides information on the age-appropriateness of videogame content. To us as parents, violence in videogames might be puzzling at best, and may also be worrisome and troubling to our ethical sensibilities at worst. However, changing our perspective may be a helpful and a cathartic move. The new thinking is zen, thinking inductively without a box. We need to make a move towards rethinking videogame violence’s helpful role in assisting healthy child development: to place videogame violence in a larger psychological role, to reclaim the practical role that fantasy violence has held within fairy tales in which it’s lived peacefully for so many centuries. Allow me to share my personal story with you. Once upon a time (actually, around 2001), I had decided that I was going to be the perfect father. I wanted to rear a lover of non-violence, a boy who had no knowledge of the dark side of the force. I was on a crusade against violence in videogames, videos, toys, etc. Around this time, my son played constantly with LEGO and Playmobil structures and figurines, and of course, watched age-appropriate videos. I would sift through the piles of mini-figures and remove all the “tools of violence” — plastic swords, scabbard, rifles, pistols, gun holsters, bullet belts, etc., sequestering and containing them in a plastic bag. 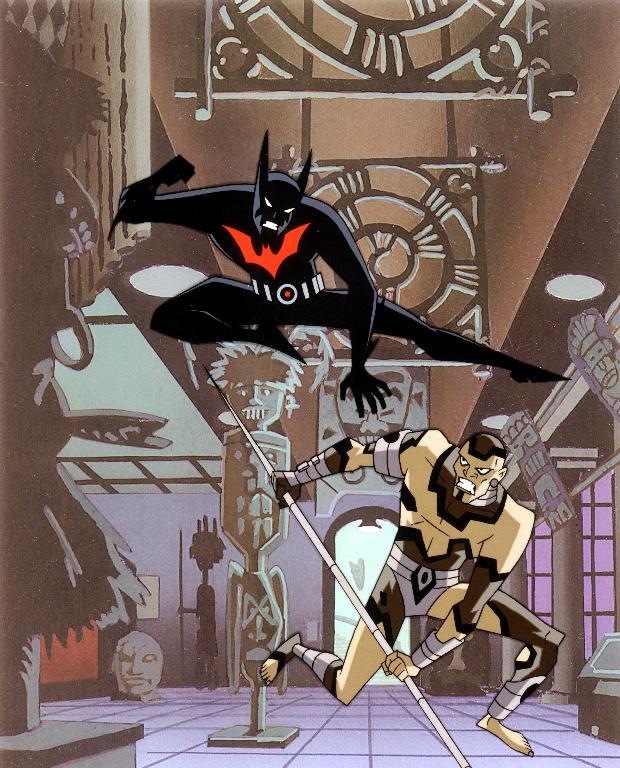 At the time, also I “pre-screened” cartoon shows, and I was a little worried about the Batman Beyond show that my son had begged me non-stop to watch, as it seemed much darker and more violent than the other Batman cartoons. Oh, how bad could it be, really? Finally, we watched one of the videos together. There went the fists flying, the bullets ricocheting — ergo, all my suspicions confirmed of the violence whose evil I thought had crept into our cartoons (never mind that it had never left the cartoon world). No matter, I thought, my son will never find the plastic LEGO and Playmobil “weapons of doom” that I had industriously hidden away, and surely the dark Batman thing will just fade away from his memory. Moral fiber intact, my crusade still winning out over violence. One day, it all changed. A friend lent me the game Blood Wake. Bear in mind my son was still in preschool, and I was virulently opposed to videogames for kids, although a hard-core gamer myself. My stream of moral consciousness tells me, ah, this is a game about boats. So they have little guns, how bad can it be. Out of pure curiosity, I decided to play the game. My son tried out the XBOX controller, and picked up the controls in a matter of minutes. I’ll never forget the unbridled delight on his face when he outmaneuvered my boats, torpedoed and blew them up. It wasn’t the dazed look of the fog of war, nor was it the gloat of the evil triumphant, but just pure, childish delight at beating his dad. How can we, as parents, possibly rethink something so troublesome as the role of videogame violence in our children’s healthy development? Again, the zen, thinking inductively with no box.The first step to understand why children tend to play violent videogames. 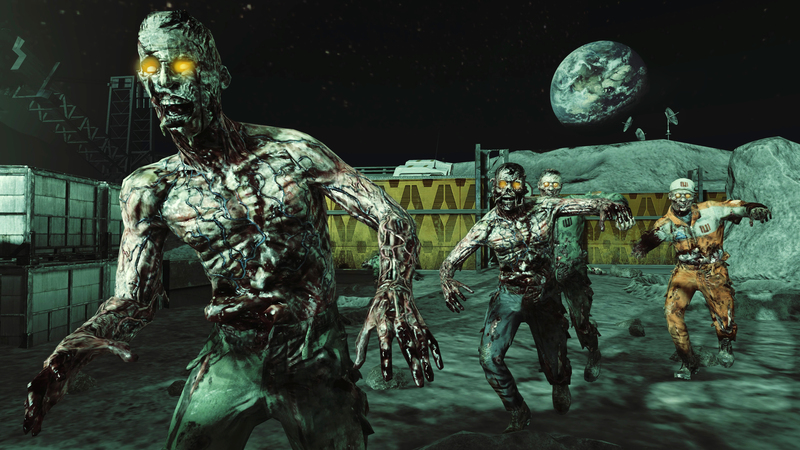 If kids are dealing with anger, chances are they will play M-rated violent games. Coping with anger and purging negative feelings is only one of many other social, emotional and intellectual reasons why kids play videogames. Kids who play M-rated games in particular play to compete and win, to get anger out, to “mod” the game and because they like the weapons in the game. Let’s be frank — violent content is emotionally appealing to kids. They appreciate the tremendously beautiful graphics in Assassin’s Creed Brotherhood with the grand city of Renaissance Rome and enchanting landscapes of the campagna outside the city. 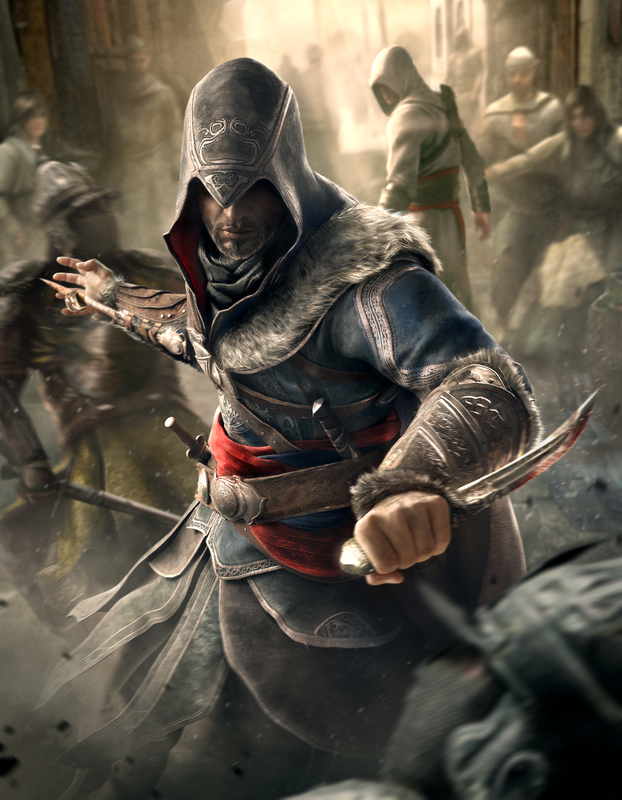 Kids gain achievements in Assassin’s Creed Brotherhood as they’re emotionally immersed in a complex game universe with a well developed historical backdrop and complex plot line that includes (among many other elements) an ancient order of Assassins’ struggle against the Borgia papacy in Renaissance Rome. Yes, kids do enjoy the guns and weapons in videogames. They are challenged with learning and mastering new and improved, powerful firearms and getting new ​ways of killing the in-game nemesis (soldiers, zombies, monsters) with more efficiency. It’s exciting and dare I say, fulfilling to see awesome, colorful explosions … “the rockets’ red glare, the bombs bursting in air” … But these thrilling sensations are in a videogame. The emotions are real, of course, but they happen in the context of a game, so they can be controlled. 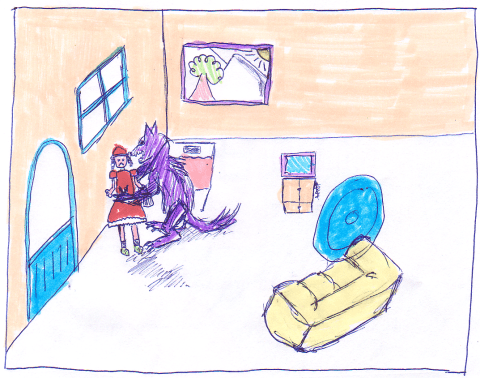 Children have the option to experience (or avoid) emotions by selecting different situations in the videogame. Experimenting with emotions is an especially valuable experience in the teen years, where kids might be trying out different identities. For boys, it might be Ezio (ultimately the Mentor of the Assassin Order), or for girls, Kat (Kat-B320), the Noble Team’s second-in-command in HALO Reach. Or why not vice-versa? And, they can experiment to their heart’s content — XBOX live levies no value judgments or condemnations of kids’ behavior. In short, it’s not the violence itself that is attractive to kids. It’s the opportunity to develop and master skills and have the freedom to make choices in the game universe. Again, the games with the most emotional appeal just happen to have violent content in them. When kids can have these in-game options that are enhanced by violent content’s emotional draw, it’s a powerfully seductive combination. Preteen boys tend to enjoy games with exaggerated violence that they can’t do in real life. The “can’t do in real life” realization is the key phrase here. Again, just as with the weapons in games issue, violent games attract this age group because there is more action, more challenge and more options. So without a box, we think, and consider the greater proposition — that games have potential value in a healthy child’s development. But what is this value exactly? The first point to consider is that videogames can serve the same purpose with boys as playground rumbling still does. There are fights for “who’s the best” in videogames just like the rough play in “King of the Hill” crowned the top dog on the top of the hill in the park down the street. Fighting is also a way for boys testing the relationship waters with girls. Playing videogames could possibly help develop boy-girl friendships. The second point is an important one that brings our thinking full circle. The mystique of violent and scary themes draws children’s natural curiosity, and dealing with it is a part of normal child development. Experiencing these mental images in fairy tales helps children to gain control over the physical and emotional sensations of fear. Governing fear was a basic skill that preserved children’s lives through history. In Victorian England, the dangers of working in factories and mines demanded it, as well as coping with rampant disease and poor medical care. Dealing with frightening videogames similarly empowers children to cope with these images when they know they are in a safe environment. Charles Perrault’s original ending (with the death) of Little Red Riding Hood served a practical (albeit horrific) purpose: to scare children away from speaking with strangers. How different are videogames that continue this didactic mission in children’s entertainment? Videogames deal with violence, anger, fear and sexuality. Victorian parents realized that children would face danger and fear, and therefore welcomed the practical, moral messages that fairy tales presented. Videogames and fairy tales are both different forms of storytelling. As twenty-first century​ parents, we tend to protect our children from “issues” like fear and violence. But, when exposed to scary content, children can learn to cope with and overcome fear. Perhaps it’s time to allow them to teach themselves with different fantasy worlds that have similar challenges and practical, moral lessons just as fairy tales still do. Consider this positive statistic. The 2011 ESA report states that 45% of parents play computer and videogames with their children at least weekly, an increase from 36% in 2007. This is a good sign of our participation in our kids’ gaming activities. Clearly, almost half of us are already involved. I made my own decision to leap to the new zen and, yes, it was hard at first. But I challenge you to reflect on the larger perspective that “scary and violent” in videogame content may have in helping our kids gain practical skills. It’s safer than having our teens do drugs, alcohol and street racing in the real world. My son plays lots of violent videogames. But he’s the world’s most sensitive football player too. Take the small step into the fantasy world where your children are already playing. Look for the constructive things it might offer you. Your kids will probably teach you a practical skill or two.